Today I have my last Color Me Monthly box to show you! As you know, I was debating about canceling my subscription last month due to the fact that I can get a salon quality nail polish (in a color I know I will love) for less than the cost of this subscription. I was pleasantly surprised with the polish I received in last month's box, but I wondered how often they would send a color I would have picked out for myself. So upon receiving this month's polish, I decided to cancel. 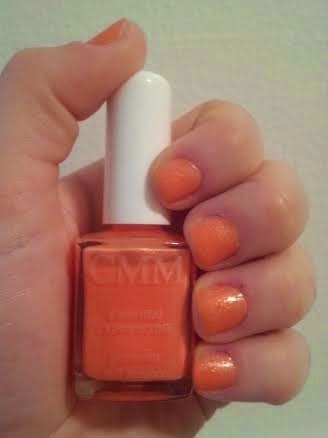 Not only wasn't I in love with the color, but more than that I didn't care for how it applied. I felt the application was more difficult compared to the other two polishes I had received from this subscription service. 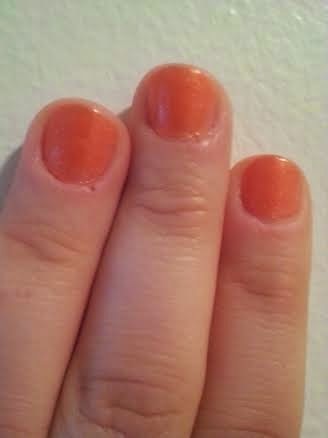 It was so bad that I had to totally redo my whole manicure. I ended up trading the polish in for a Morgan Taylor polish at a Trade-In Event at Cosmo Prof earlier this month (which I will show swatches of at a later date). Ultimately, I felt I could get more for my money elsewhere, so I will be reviewing some new subscription boxes soon!! What subscription box would you recommend I check out next? 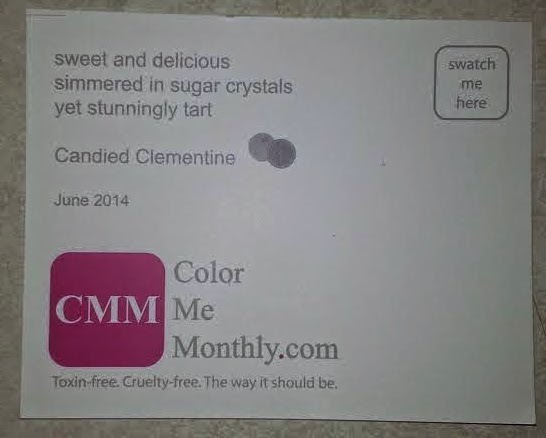 If you would like to sign up for Color me Monthly for $7/ Month visit ColorMeMonthly.com.